Price: $1,199.99 + $126.78 shipping - cheap!. It was delivered 7 days after the order - fast! There will be 4 main components concerning the A/V systems in the Party Barn. The projector I got on ebay (for now) doesn't have a remote - so no keystone adjustment (yet). Bummer. Here it is right after I unloaded it from the trailer. It's braced with a couple 2x6's. Even WITH the wood, it's not that heavy, and quite rigid. I inspected it after unpacking. Wow - it seems smaller then I imagined! In place and ready to be mounted. These are the two large "L" brackets I made for mounting. In my case, the screen needs to be mounted 3 1/2 feet away from the wall. Here's mounted - suspended away from the speakers. On a side note, it doesn't seem to "muffle" the sound to any noticeable degree. The blur is from the long exposure time on my camera - the picture looked pretty good for being enlarged so much. Next on things to do is to finish the overhead rail for mounting projectors) I'll be able to mount more then one eventually if I want to. The "rail" part is to make easy distance adjustments. 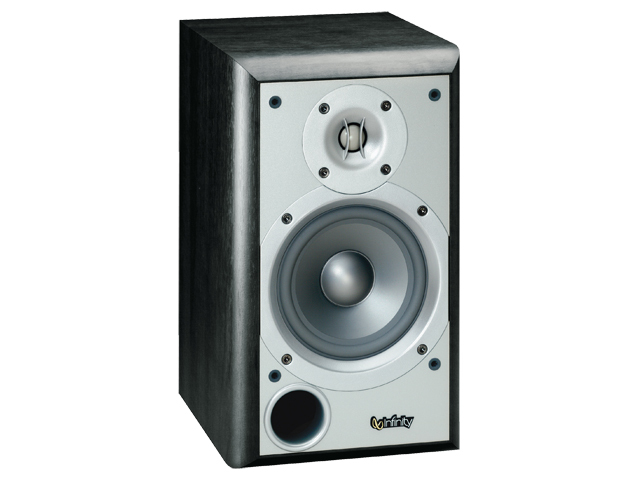 For the front/mid/rear channels I've ordered some Infinity Primus P152 speakers. They're 120W capable and six of them should deliver adequate sound levels. Considering the volume of space I'm dealing with, I put a big chunk of my audio budget into a good subwoofer. A Mackie 1801 powered sub. It's 800W (1000W peak), has a low end of 35hz and can produce up to 135db (for comparison - a subway train is about 95db). It stands 32" tall and weighs in around 180lbs. NICE! All together, the major components + shipping cost just over $2000. I've also got about $200 in various cables/adapters coming in (most of the speakers will be over 30ft from the receiver). 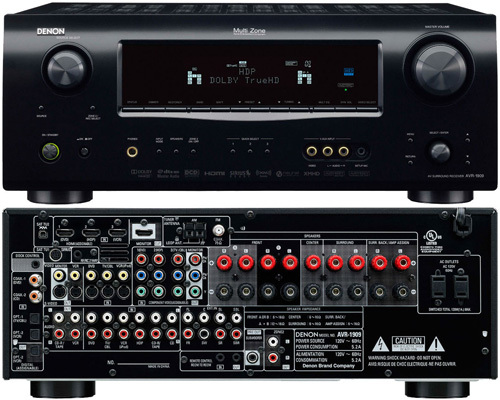 In most home theater applications that I've seen, normally the rear speakers are "heftier". The Partybarn is a little different though. There's no ONE place where everyone will be seated. 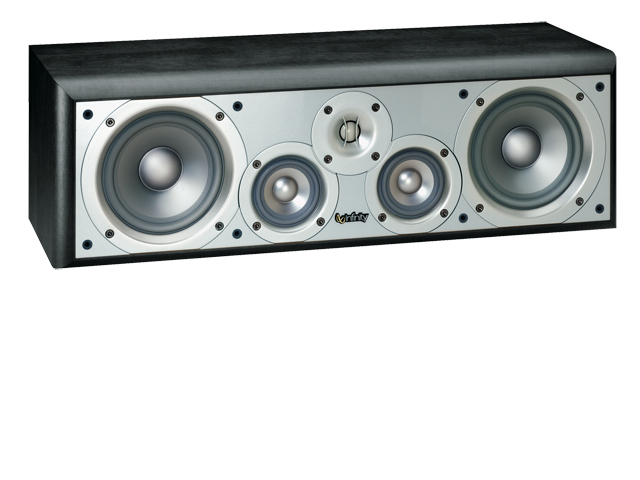 I want to be able to evenly spread the sound around - hence all matching speakers for rear/mid/front. The only exception being the center channel. I'll be mounting these next week and trying the whole thing out! I had some old unused Infinity SM-152's from many years ago. I reconed the woofers about 5 years ago. They still sound great! I went ahead and placed them as the front channel speakers (wall mounted!) and moved the front two P152's up to the loft and use them for zone 2 sound. The total system now uses 10 speakers! Cool! The wall mounted SM-152's. I built custom welded steel supports. They are suspended about 6" off the wall - nice! The primary source for music and video will be supplied by a custom computer system. It will have 2 rack mounted computers. #1 will be a file server running Linux (spinning several 1TB drives - mostly for video) and #2 will be a higher horsepower machine running a Quadcore and possessing a high end video card. It will be able to multi-boot from more then one internal drive so it can easily run multiple OS's (at least 2 anyway). I plan on the default boot OS to handle audio and video tasks. An alternated boot option will be used for gaming (games on a 16ft screen should be nifty). The first thing I built was the computer cabinet - so that means more welding! woohoo! The dimensions are: 24" deep, 20" wide and 30" tall (with rollers about 33" tall). Using an old computer I built about 4 years ago, I placed its guts into one of the server cases and installed Linux Ubuntu. I think it's a 1ghz Pentium 3 with 1gb of ram on an Intel motherboard. It never got much use back when I built it (I used it as a DVR for the TV mostly), but has sat the past couple years. I added a modern SATA card that can handle 4 drives. Ubuntu installed without a hitch. I love free OS's - especially when they're as stable as Linux. I think this box will be perfect as a file server on my network. This rack will set on the right side of the control desk in the loft. The mouse, keyboard and monitor will be located on the desk and shared by both computers via a KVM. I finally got started on the control desk. The desk will sit on the edge of the loft overlooking the rest of the building. It will have associated computer hardware (monitors, keyboards, etc) as well as the sound system components. Next to the desk is where the above mentioned rack will set. After I install the audio, it'll be time to get a projector screen in. After looking at the size of space at the end of the Party Barn, I think a 16' x 9' screen will fit best. Anyway, I've already built a computer rack and finished one of the computers. It will house 2 computers (One a Linux file server that will spin some terabyte drives) and the other will be built for horsepower to power the 1080P projector smoothly at its max resolution. I suspect a quadcore processor will be in my future.